This Halloween costume is from a few years ago, but it was so easy to make and it’s still one of our favorites of all time. My daughter found this idea somewhere, but there were no instructions, so we decided to make it ourselves. It’s not very complicated, all you really need is some book pages, and a little time. First start by making the skirt. You can do this with the stapler method, or you can use the sewing method (being sure to sew along the edge and not in the middle). 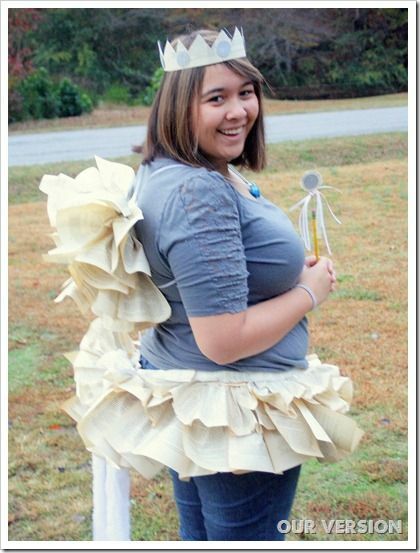 IF YOU CAN SEW – I HIGHLY RECOMMEND IT FOR MAKING THIS HALLOWEEN COSTUME. If not, proceed with staples. 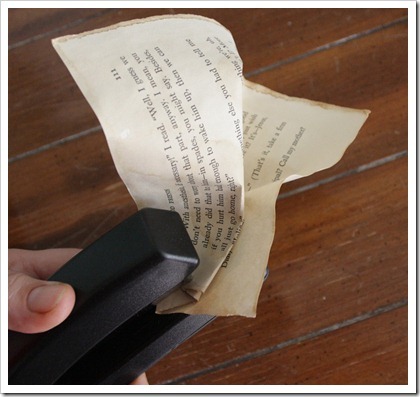 For the stapler method, grab a bunch of pages from an old book (or a new one from the dollar store). Fold them in a “ruffle” kind of way – I used roughly in thirds with the open end to make the ruffle. Now repeat a BUNCH of times. How many depends on how big or small you need the skirt to be. You’ll also use this same method for the wings. 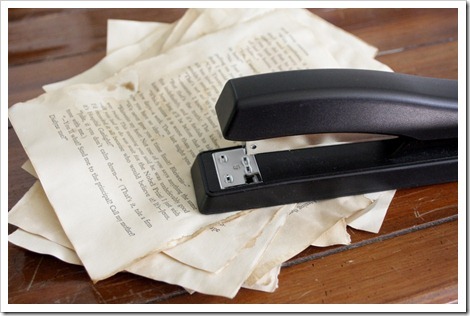 Once you have a few of the individual ones finished, start stapling them together. It takes a LOT of staples. Try to keep them all right on the edge. Keep adding to the skirt until it’s long enough to go all the way around the waist. 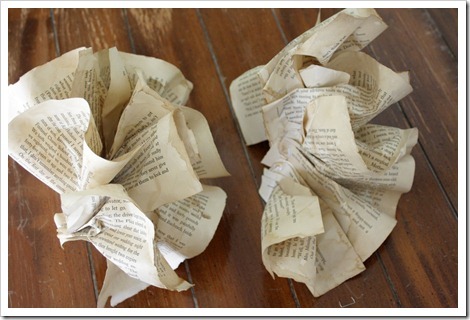 Use more book page ruffles and glue them together, using ribbon to hold two different sides together. We used a few safety pins to hold them onto her shirt. Make a paper crown and wand and you’re done! It’s an easy Halloween costume to make, just do the stapling while you’re watching a Halloween movie. « Disney World resorts: which is the best choice for you? Hi Gina! I’ve awarded you the Versatile Blogger award. Happy Halloween to you! Thank you for all the wonderful inspiration this month…you are awesome!!! That costume looks so fun! 😀 I love the wings in your version especially! Too funny! I’ll have to remember this for next years costume parties. Your daughter is beautiful. She looks just like you.